By Stephen Pate – I’m wasn’t a big fan of Xbox Music which admittedly has been improving. Imagine my surprise when I did a “Bob Dylan” search of Xbox Music and found 295 albums, including a 1966 soundboard recording of Dylan in Australia. Dylan officially has released something around 63 albums/CDs. Intrigued I started sifting through 295 titles, then streaming the titles I didn’t recognize. which contain all the outtakes from Dylan’s first recording session with Columbia Records. Then I hit gold – the soundboard recordings of Dylan in Australia during his 1966 world tour. The sound is almost perfect and Dylan is in fine form with the appreciate audience, a big contrast with the boorish Brit folk fans who protested his tour in their country later in 66. “This this used to be called Visions of Johanna but now it’s called Mother Revisited,” said an obviously stoned Dylan who was enjoying himself. Dylan spends an inordinate amount of time tuning and re-tuning. He jokes with the Australian audience and they appreciatively lap it up. I think this is the Melbourne April 20th, 1966 concert at Festival Hall. The first CD is mainly the acoustic set, except for the last three songs with The Hawks. The sound on the 2nd CD has 60 Hz hum so it’s less interesting. With a quick search I found a downloadable version of the concert CD from Sydney. The Sydney bootleg has both the electric and acoustic sets. It’s like the performances, separated by a few days, were recorded in two different decades. In Sydney, Dylan moves through his material with professionalism. It always amazes me that Dylan can manage to perform the same songs with so much different effect. In Melbourne Dylan feels the songs, gets inside them and sings them with more emotional impact. The Melbourne recording is also clearer and stronger, with fewer artifacts, probably from new mastering at louder levels. The Melbourne CD Live In Australia was an easy choice as a purchase decision. With Xbox Music, you can stream the music without buying it. If you don’t have an Xbox pass – that’s me – they play a 15 second ad every 30 minutes or so. The MP3 download costs $9.99. 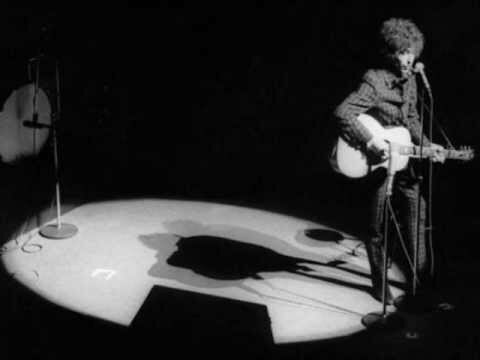 Dylan’s 1966 World Tour would find Dylan straddling his old folk/acoustic songs and his new rock and roll persona. It was a point of transition that ended with Dylan exhausted returning from jeering audiences in Britain to his August motorcycle accident that took him off the road for years. From January to March 1966, Dylan performed his new and old material crisscrossing the United States and Canada with the musician, then known as The Hawks who would later form The Band. Right after that he went to Australia then over to Europe and England.
. At the end of the tour with jeering audiences Dylan was at his most pugnacious, one Dylan persona. Grant Maxwell likened the 1966 World Tour as a passing through different identities for Dylan. Beyond expressing his exhaustion after months of heavy drug use and playing to partially hostile crowds, this statement seems to exhibit an awareness in Dylan that each successive incarnation he inhabits is a role that he plays intensely until there is nothing left for that transient being to give, then it passes away and a new Dylan emerges to take its place. By creating roles that he can inhabit almost completely, but which are not perfectly coextensive with his internal sense of self, Dylan built into his “philosophical identity’ an escape hatch so that he would not “burn out,” that is, literally die with the death of each persona as did Hank Williams, Robert Johnson, Elvis Presley, Jim Morrison, Janis Joplin, Jimmie Hendrix, Gram Parsons, and any number of other young stars.